The story of Muriel Cameron Bodkin is one of families. She was born on March 9, 1903, in New York City, the daughter of John Alfred Bodkin (1862-1957) and Charlotte Mackie Bodkin (1873-1957). (1) Born in East Greenwich, England, John A. Bodkin was a farmer and orchardist. His hobby was painting watercolors. Muriel's Scottish mother was a dressmaker and designer who, according to Muriel's daughter, supported her family. In fact, between 1908 and 1920, Charlotte Bodkin ran her own dressmaking firm, the Charlotte Bodkin Company, Inc. (The name "Bodkin" would seem fitting for a clothing maker.) John and Charlotte Bodkin had three children: Muriel Cameron Bodkin (1903-1994), John L. Bodkin (ca. 1906-? ), and Robert Mackie Bodkin (1908-1984). In 1910 and 1920, the Bodkin family were enumerated in Little Falls Township, Passaic County, New Jersey. In 1930, Charlotte Bodkin was alone in Manhattan with her daughter Muriel, who was then working for a publisher. As a child Muriel submitted a story to St. Nicholas and won mention in the magazine's roll of honor. During the 1920s her poetry appeared in The Forum, a magazine published in New York City. In 1931 she was named head of publicity and advertising at Jonathan Cape and Harrison Smith, Inc., a New York publishing house. That company was succeeded in 1932 by Cape & Ballou. Muriel's lone poem for Weird Tales was "A Witch Passes" in the March 1933 issue. She also wrote stories for Love Book Magazine and All-Story Love Stories in 1936-1937. Muriel Cameron Bodkin married twice. First came a short-lived union with Chandrakant M. Desai of India. Muriel knew him when she was a young stage actress in New York and he taught her how to drape a sari. Muriel's second husband was a writer, John Frederick Brock Lawrence, also known as Jack Lawrence. Born in Windsor, Ontario, on February 4, 1907, Lawrence lived in the United States as early as 1920. That year found him Detroit with his parents, Frederick Henry Lawrence, a builder, and Gertrude Maud Brock Lawrence. As a teenager Jack Lawrence attended Royal Military College in Kingston, Ontario. By 1930 Lawrence was in Manhattan, living with his mother and working as a stockbroker. In 1931 he copyrighted Wall Street Scene: A Play in Three Acts. Muriel Cameron Bodkin wrote for the pulps. So did her husband. From 1931 to 1948, Jack Lawrence contributed stories to Black Mask, Clues Detective Stories, Detective Action Stories, Detective Fiction Weekly, Detective Tales, Dime Detective Magazine, and a Canadian title, Flynn's Detective Fiction. (2) His writing career was interrupted when he returned to Canada in 1942 to join the Royal Canadian Air Force. By then his marriage had fallen apart, but not before he had fathered a daughter with his wife Muriel. Judith Ann Lawrence, daughter of Jack and Muriel Lawrence, was born in New York City in December 1934. Like her grandfather, Judith is an artist, and like her parents, a writer. 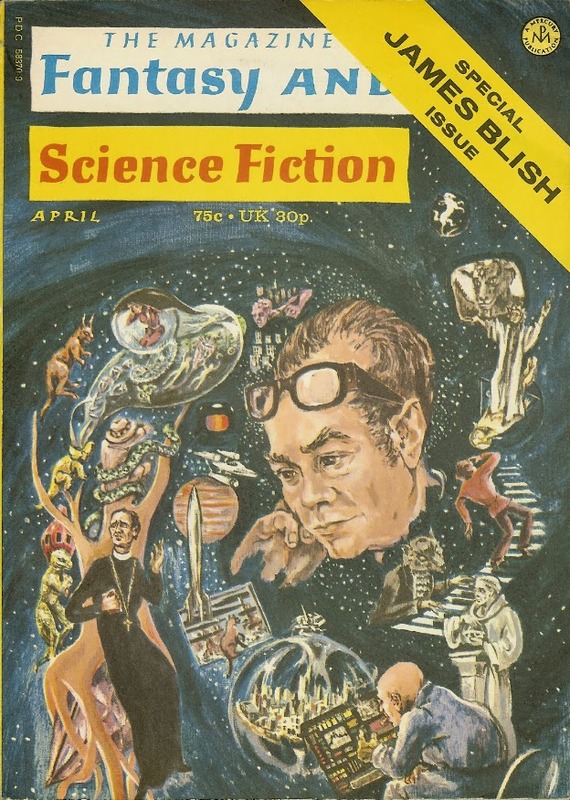 She arrived too late on the scene to contribute to pulp magazines, but she has written and illustrated science fiction, some on her own, and some with her late husband, James Blish, to whom she was married from 1964 until his death in 1975. Judy Blish, also known as Judith A. Lawrence and J.A. Lawrence, now lives in Athens, Greece. There are other Bodkins who have made a name for themselves. Judy's cousins are John Bodkin and Tain Seymour Bodkin. John Bodkin, better known as Odds Bodkin, is a professional storyteller and an author, educator, and musician based in New Hampshire. Mr. Bodkin recently completed a 13,000-line epic fantasy called "The Water Mage's Daughter: A Novel of Love, Magic and War in Verse." Tain S. Bodkin is an actor who has appeared in television shows such as Max Headroom, Walking Tall, Lou Grant, Dallas, The Incredible Hulk, and CHiPS. He was also in a movie called The Giant Spider Invasion, released in 1975. In one way or another, Muriel Lawrence lost her U.S. citizenship, I believe because of her marriage to a non-citizen, Chandrakant M. Desai. In 1942 she won it back. Her residence at the time was Boston. During World War II she worked in publicity for war relief. Afterwards she worked as a fundraiser for social agencies, including The Children's Village, a school for troubled youth. While there she ghostwrote articles for the director. That led to her writing a column called "The Mature Parent" for Scripps-Howard newspaper syndicate beginning in the 1950s and lasting until her retirement. Muriel lived with Judy and James Blish until the death of James Blish in 1975. She then returned to the United States. Muriel Cameron Bodkin Desai Lawrence died on May 24, 1994, in Rye, New York, at age ninety-one. And went their way again. To take solace of me. . . . Floats, one dim stream about the world. (1) According to their granddaughter, John and Charlotte Bodkin died within six months of each other in 1957. (2) Jack Lawrence died on January 28, 1970, in Toronto. He is mentioned in the book Canadian Crime Fiction by David Skene-Melvin. He was also subject of an article by Frances M. Nevins, Jr., in Armchair Detective, Winter 1992 (Vol. 25, No. 1), pp. 60-70. Lawrence was friends with pulp fictioneer, scriptwriter, and comic strip writer Chuck Verral. (Verral wrote the scripts for Ella Cinders and Hap Hopper, Washington Correspondent.) You can read about Mr. Verral's career in an article from the New York Times, "An 80th Birthday Party (3 in Fact) on Jane Street," written by Ron Alexander and printed November 9, 1984. The April 1972 issue of The Magazine of Fantasy and Science Fiction was dedicated to James Blish. His wife--and Muriel Lawrence's daughter--Judy Blish, also known as Judith A. Lawrence, created the cover illustration. Note: This is an update to a previous posting, dated October 17, 2011. Revised January 6, 2019. Revised again January 18, 2019. Thanks to Randal A. Everts and his correspondents for information on Muriel Cameron Bodkin. Thanks also to Judy Blish for invaluable firsthand information.